May the 4th be with you! May 4th (otherwise known as Star Wars Day!) is one of my boys favorite days to celebrate since they love everything Star Wars so much! These Star Wars Lightsaber pretzel rods are an easy and fun way to celebrate the day. 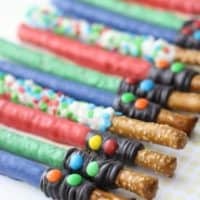 You can either create them yourself as a fun surprise or have a group of kids over to create them together as a fun craft/snack. 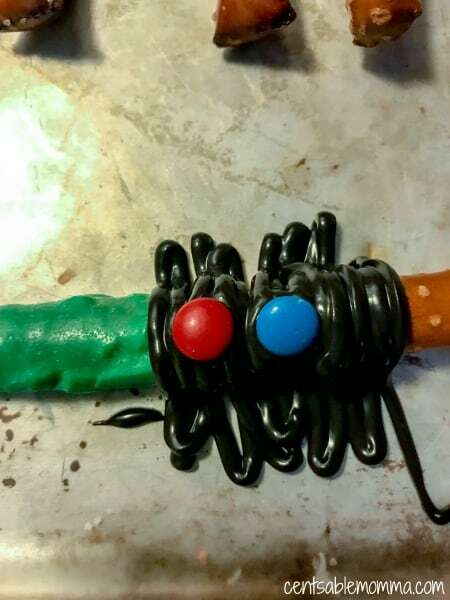 If creating lightsabers, allow the initial candy coating to set completely. 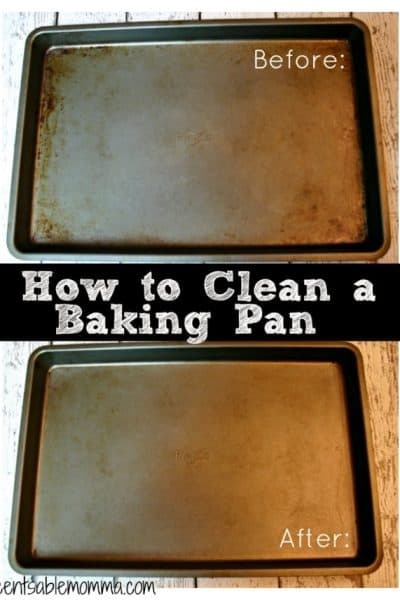 Then, transfer melted black candy to a piping bag or freezer bag with the corner snipped. 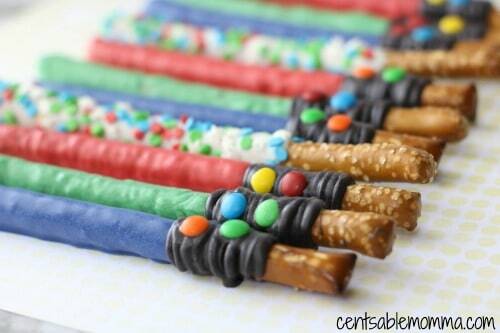 Drizzle over the end where the candy meets the pretzel. 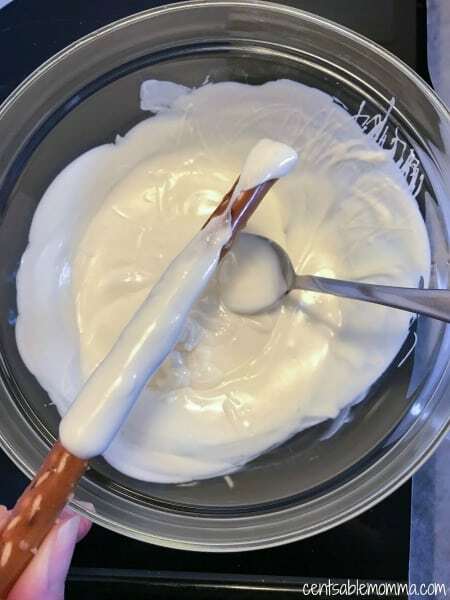 Before the pretzel sets, gently pick it up and move to clean wax paper. Then, press two mini M&Ms into the black candy melts. 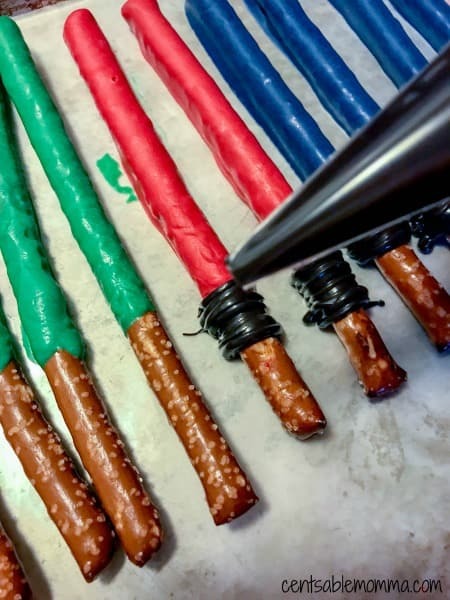 If creating the lightsabers, allow initial candy coating to set completely. Then, transfer melted black candy to a piping bag or freezer bag with the corner snipped. 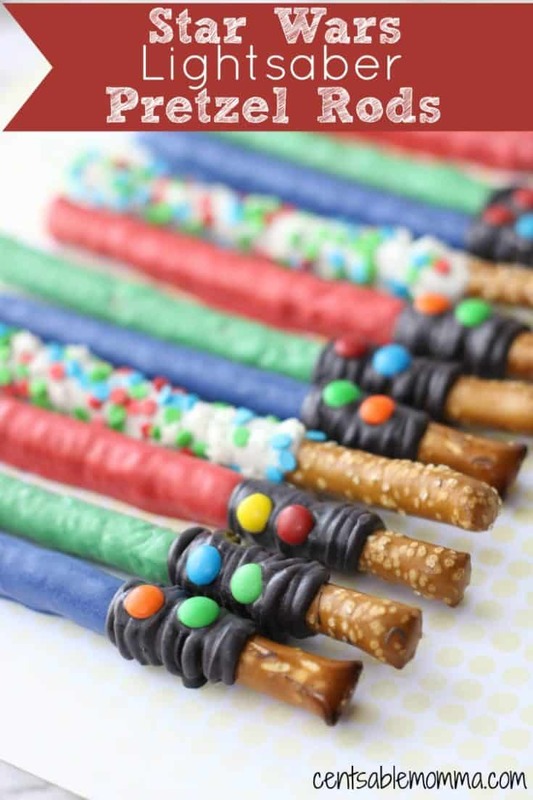 Drizzle over the end where the candy meets the pretzel.